I was going through your posts on MRCS. I am an MBBS doctor and planning to take MRCS. As you said that after completing the exams successfully we need to get registered by GMC after taking IELTS exam. Is there any issue in getting GMC registration for an MBBS candidate as compared to MBBS, MS candidate (I am not able to understand the difference if there is any difference in the process for MBBS and MBBS, MS for registration?). After completing all the parts of MRCS exam when will they give General Surgery Diploma .. is it after training or on completion of the test? What is the minimum duration of training for successfully complete MRCS? Once a person gets registered by GMC he/she is eligible to apply in any of the training centers in UK or can the training be done in India? One we are good to go can we practice general surgery in India when in my case I am MBBS and I will do MRCS (when I continue to work with the senior surgeon in India)? I am not able to understand the difference if there is any difference in the process for MBBS and MBBS, MS for registration for MRCS? There is no difference in the process of registration as the proof which needs to be sent for MRCS Part A exam registration is just a Certified copy of basic medical degree certificate. MRCS is just a membership which is given once you have cleared both Part A and Part B exams. Though you can use MRCS in your post nominal (eg Dr ABCD MBBS, MS, MRCS), it is not like a conventional diploma or degree. It just indicates that your basic surgical knowledge is good enough to join further surgical training in the UK. In India, we have entrance exams like NEET PG for this, which are a stepping stone for surgical training. Once you have MRCS, then you can apply for GMC registration. Once you have GMC registration, you are eligible to apply for Non Training posts (Medical Officer) or Training posts for Specialty surgical training (General surgery is considered to be a specialty surgical training). What is the minimum duration of training for successfully completing MRCS? 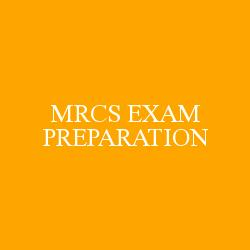 MRCS is just a set of 2 exams and they do not require you to produce any proof of surgical training. But practical things which are asked in MRCS Part B exam, can only be possibly answered if you have at least some experience in General surgery, even as a JR.
You are confused I guess. MRCS is given to get a surgical training/ non training post in UK. It is like USMLE which you give to get training/ non training seats in the US except that MRCS is specific for surgical streams. Once you have MRCS, you are just a member of royal college of surgeons and not a fellow, you are not a qualified surgeon. To be a qualified surgeon, you should qualify both steps of MRCS, get a surgical training post in the UK, give exit exam FRCS (General Surgery, Urology, Neurosurgery etc) and only then you will be a qualified surgeon in a particular specialty. So with just a MRCS post MBBS, you will not be allowed to practice surgery in India.